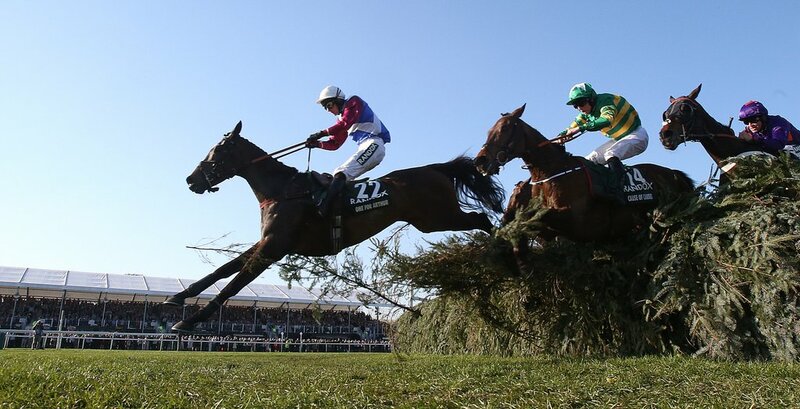 One For Arthur is bidding to regain his best touch when heading to Aintree next week for the 2019 Randox Health Grand National, back to the scene of his greatest career triumph. The ten-year-old trained by Lucinda Russell, memorably won the 2017 renewal as only the second Scottish trained winner of the event, but failed to deliver a successful defence of his crown by missing the entirety of last season with injury. It has been a delight to see him back on the racecourse this season, but both of his runs have been brought to a shallow end early on with two unfortunate unseats - most recently at Haydock in the Grade Two Peter Marsh Chase. Arthur also was forced to sidestep an intended third preparation run at Kelso three weeks ago, but skipped his commitments there due to the unsuitably quick ground. However, he will head back to Merseyside with a clear round of jumping behind him, after completing a circuit of schooling at Carlisle on Sunday afternoon under his regular companion Derek Fox. (Credit: Racing Post) Trainer Russell said: "He went very right-handed at Haydock last time and we've done a lot of work with him, we've done loads in the school. "The aim today was to make sure he jumped straight. "I was very happy with that, I can't wait for two weeks' time. He's in really good form. Erin Walker, his work-rider, said he worked as well as he's ever done yesterday." One For Arthur is currently best-priced at 33/1 for a second National success with most bookmakers, but is more importantly guaranteed a place in the 40-strong line-up. He will join Tiger Roll as the only two previous winners in the expected field, but the latter looks a stronger fancy after his twenty-five length demolition in the Glenfarcas Cross Country Chase nearly two weeks ago at Cheltenham. The bookies have also confirmed they will be expected to pay out their biggest sum in National history, should the 9yo cross the line in front once again. Scotland have another card to play with Captain Redbeard; trained by Stuart Coltherd, who finished third in that Kelso race that Arthur missed. He is not certain to make the cut however, but Coltherd is hopeful he can slip in as he did twelve months ago. (Credit: Racing Post) He said: "Captain Redbeard needs 11 to come out but I think we needed 11 at this stage last year and he got in. "He was out this morning and he's bouncing. His form is working out okay and if gets a bit of luck, who knows how well he could go."